Call her a lover of relationships. 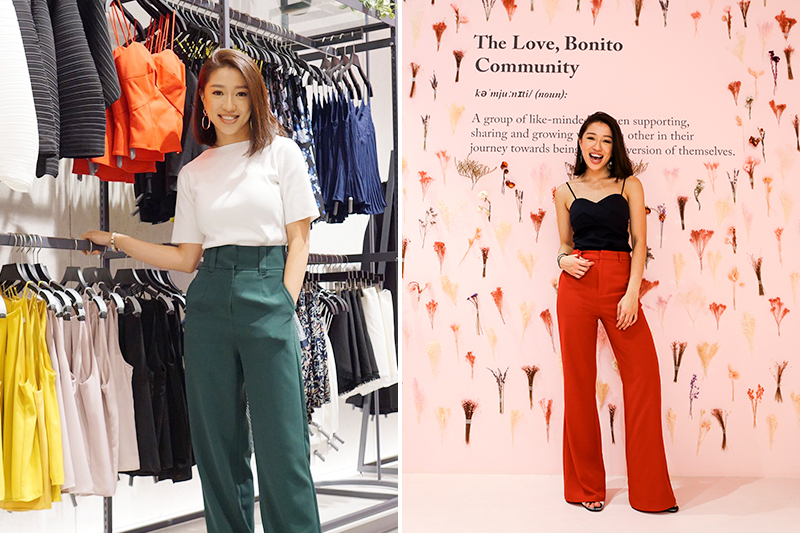 30-year-old Rachel Lim co-founded Love, Bonito in 2006 as a passion project. 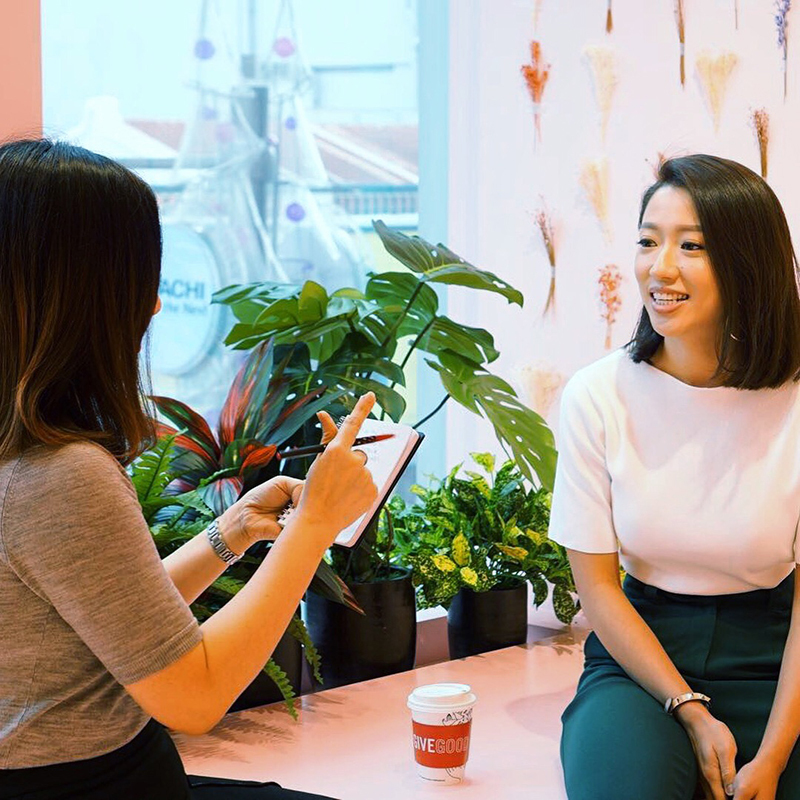 Fast-forward 11 years later, along with her business partner Viola Tan, she successfully transformed the blog store (formerly known as Bonitochico) into a fashion brand with a strong retail presence across Singapore, Malaysia, Indonesia and Cambodia. Now, Rachel is excited to step into Love, Bonito 2.0 — expanding into new markets like the Philippines, designing a contemporary line to resonate with the discerning modern Muslim women, and most importantly, empowering a community of women through fashion. Talk about being a lover of relationships. Rachel, who made Forbes’ "30 Under 30 Asia" last year in the Retail & E-Commerce category, heads the creative team. Last week with over 200 guests, she celebrated the opening of the Love, Bonito flagship store (spanning 4,603 sq ft!) at [email protected] in Singapore. But with so many brands hopping onto the e-tailing bandwagon in this digital age, we were curious to know — why go brick-and-mortar? 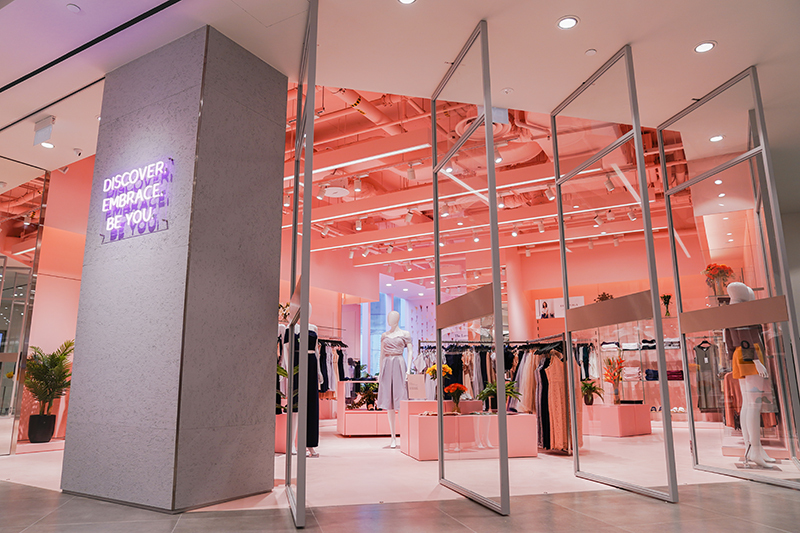 "For the past six years, we’ve dabbled with pop-up stores, and we discovered how having a physical space is able to impact the brand on a much higher level through brand awareness. People get to try on the clothes. We want the customers to experience the service that we have. I think the heart of what we do is helping women discover themselves. More importantly, this is a place where we bring a community of women together to share, to learn, to discover, and to journey together. It’s amazing how when women come together and support one another that amazing things can happen. There’s so much power in that." More power to you, Rachel! Read on as we chat about building a community of empowered women, breaking perceptions, and styling trends of the moment. Fill in the blanks: I'm a fashion entrepreneur, a fitness fanatic, and a __________. Lover of relationships. Lover of the people around me – [I’m a] huge believer. What was the most challenging part of breaking perceptions of Love, Bonito from a blogshop to a fashion brand? That we are still small-scale, that we don’t design our own pieces. But that’s what we’ve been doing for the past seven years. We’ve been [designing our own pieces] ever since Love, Bonito started seven years ago. I just think there’s like a whole lot of misconception people have of blogshops. 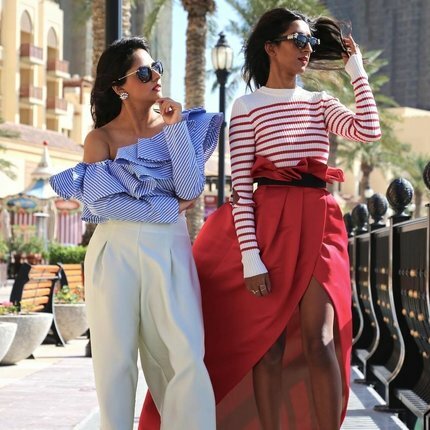 What are the top three styling trends in the region right now? 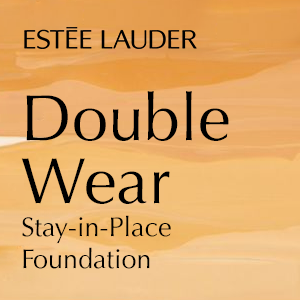 First, layering is definitely in. We’re also seeing [lots of] separates, especially pants. That’s here to stay. There are many different types of pants that we can mix and match differently. [Thirdly], pops of colour [in your outfit]. That’s really coming back. You are the definition of looking good while doing what you do. How do you stay inspired and empowered to do that every day? On this journey, I discovered that Love, Bonito is not just a business. I feel like it’s my calling. I’m here to help women discover their confidence, embrace themselves, and be the best version of themselves. 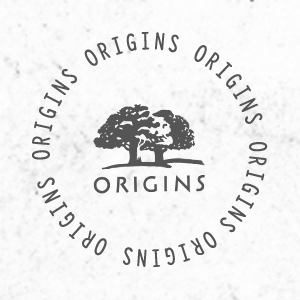 I think being personally impacted in this journey as well — through the products that we created — [helped us] discover our self-confidence. It’s really understanding what works best for you and dressing for yourself. That’s what gives you confidence, and that’s why we want to help women. Share with us five of your Clozette essentials right now. Definitely a turtleneck top. I think it’s really classy — especially with pants, my go-to pants. The look makes me feel and look professional. Accessories, too, my go-to leather bracelet from my friend. I’d say my watch but I just lost my watch. I was on a plane and I left it there. It’s depressing. [Lastly], a pair of earrings. Earrings can make your outfit look more awesome. 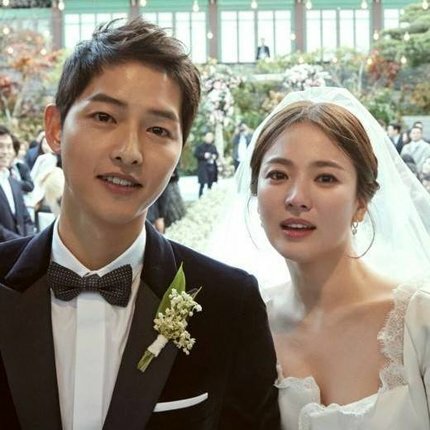 September may be deemed as the "fashion month" on a global scale but on this side of the world, all the exciting fashion shows happen in the month of October. And one of those is the first ever Mega Fashion Week, launched by one of the biggest fashion publishing houses in the country, One Mega Group. MEGA has always been at the forefront of the fashion scene in the Philippines. And now, they've taken another bold step by showcasing the works of established designers in their very own fashion week. 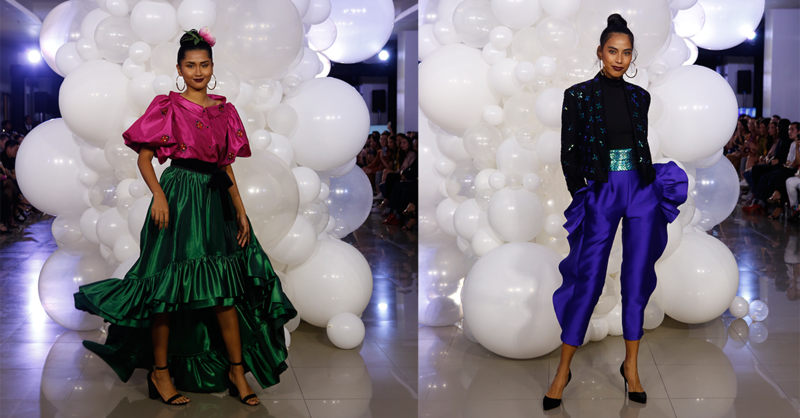 We were there to witness Rajo Laurel's Spring Summer 2018 collection called "When I Was Five" and John Herrera's LFW 30-piece collection entitled "Armada". 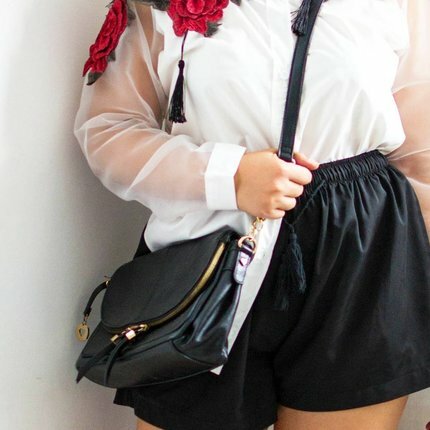 Here's a roundup of our favourite looks and the stories behind them. When asked what the story behind the collection is, Rajo shares he entitled it "When I Was I Five" because it was at that age that he first discovered and fell in love with fashion. "I used to go to these parties when I was little and I'd marvel at the beautiful outfits the guests wore," Rajo recalled. Nostalgia for the decade is evident in the collection as represented by the bright hues, elaborate patterns and the use of luscious fabrics. The collection does not shy away from flamboyant elements such as ruffles, huge bows, and a dash of sparkle. To match the festive and nostalgic vibe of the clothes, the models strut and danced to upbeat disco music as they parade Rajo's creations. 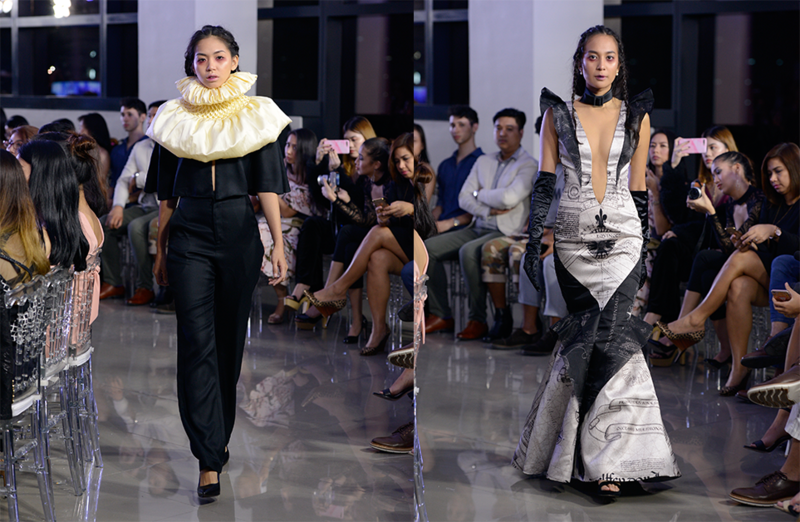 It was truly an enjoyable show, and at one point, we almost felt as if we were slipping into five-year-old Rajo's shoes, feeling the same exhilaration when he was first enchanted by the art of fashion. Fresh from London Fashion Week, John Herrera proudly debuted his collection for the Philippine audience at Mega Fashion Week. 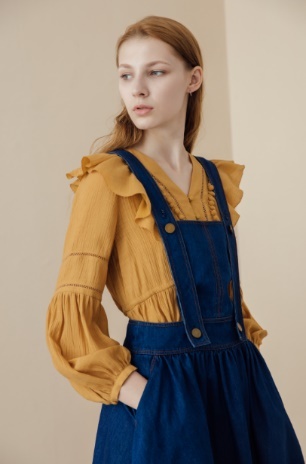 The first thing you'll notice about the collection is the exquisite prints on the garments, which were made using Epson's digital textile printing technology. At first glance, the prints look like an intricate blueprint but its inspiration is actually the first map that included the Philippines. "This collection is such an experiment for me. I got to use a lot of lightweight and transparent fabrics. I really didn't know if it would work and when it did, I was so thrilled," John said. Regal style elements from the Spanish monarchy can also be seen in the designs, such as the smocking technique and the use of Swarovski that gave the collection more depth. 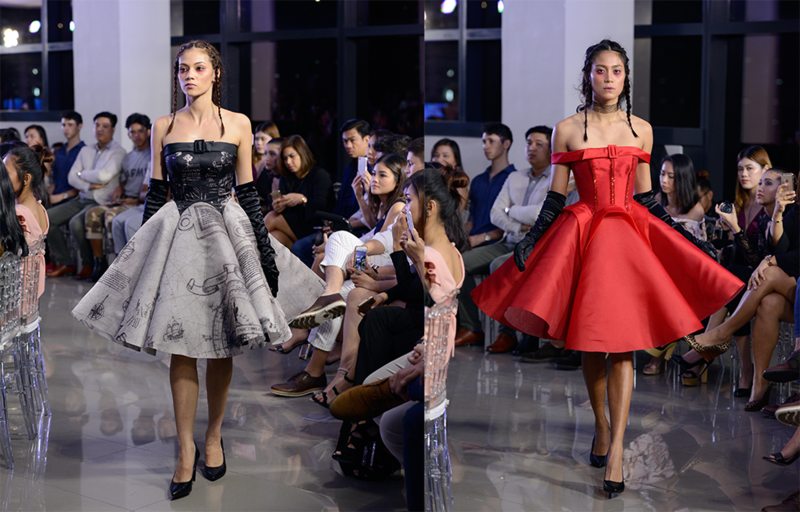 John Herrera's style has often been described as having a touch of gothic and dark romanticism; a style that is not lost in this collection. To this John said, "I think I can live with that. I think if a woman is dark and romantic, it means she's a thinker. She's not contented with just being pretty; she's not afraid to stand out." Aside from the astounding shows of the designers, we were also impressed by the Mega Fashion Films that were played at the launch of the fashion week. Each film features a celebrity, who doubles as a muse for the designer. The stunning and outspoken Nadine Lustre was chosen for John Herrera, and the bold and gorgeous Maja Salvador for Rajo Laurel. The feel of the films is very surreal, eccentric and artistic. We love how vibrant and daring these films are in portraying the designs and the women wearing them. 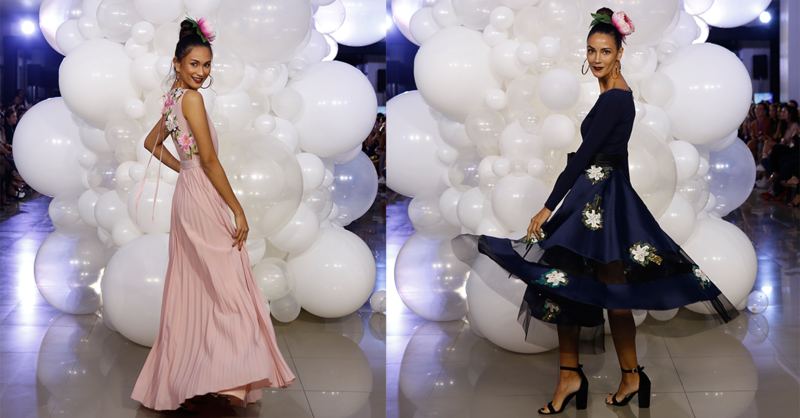 Check out our favourite looks from Manila Fashion Festival, too. Trends come dime a dozen these days. We're not complaining, though. We love learning about them! Here are just some of the trends and hot news we're happy to discover. After delving into cosmetics, Kim Kardashian West is now focusing her attention on scents. The reality star is set to launch KKW Fragrance, which will have initially debut three scents, soon. Heads up, fashion lovers in Singapore! URBAN REVIVO is set to release a collection exclusively for Singapore. 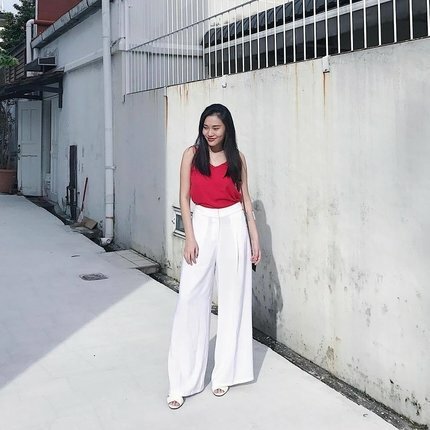 Expect stylish apparels that are perfect for Singapore weather — think breathable fabrics and cuts and unique prints. Watch out for the pieces in stores by the end of the month. 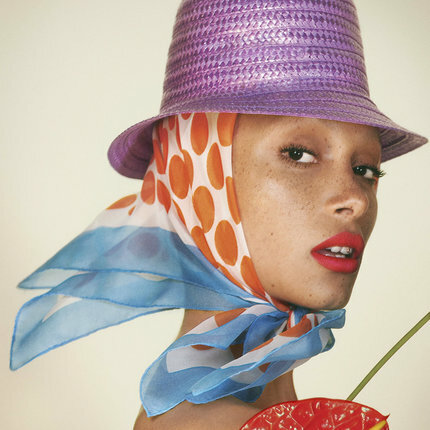 Just a few days after it was announced that she is the new face of Marc Jacobs Beauty, it was revealed that Adwoa Aboah is the cover girl for British Vogue's first issue with Edward Enninful at the helm. Enninful took over for Alexandra Shulman, who was the magazine's editor-in-chief for 25 years. We've already given you a preview of Proenza Schouler's newest label, and we're sure you were excited. If you're a fan of Chloe Grace Moretz and Brooklyn Beckham's pairing, though, we're sure you'd be doubly excited. The on-again couple were spotted sporting matching denim outfits at the launch of Proenza Schouler's White Label.